Event’s main focus was to inform the interested people regarding the Kurdish traditions and current day political situation. 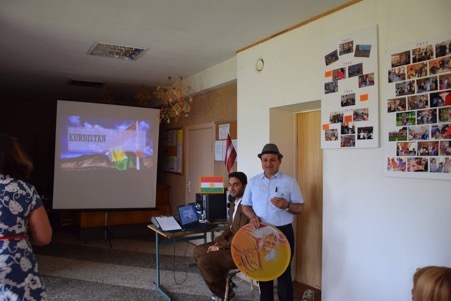 That allowed the participants to develop an idea on what is happening in Kurdistan and lead to a better understanding on to why people of Kurdish ethnicity are often forced to become refugees and leave their home places. Additionally to all the informative discussions, an emphasised was made on the Kurdish traditions and culture, showing the colourful traditional customs through different beautiful dances. Kurdish food and snacks was very welcomed by all the participants as well.